New to the ketogenic diet? 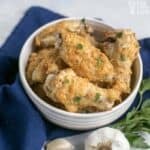 Want the best keto foods in a list for easier shopping? May this guide help you make the right choices at the grocery store. Using the right ingredients in low carb recipes may help melt body fat as easily as a heated skillet melts butter. Speaking of butter, it’s a must-have on your keto shopping list. And the best variety is organic and grass-fed. The omega-3 fatty acids in butter (which comes from the grasses that the cows eat) offer over 15 scientifically-proven health benefits. This includes reducing fatty liver disease. Butter, particularly organic and grass0fed, may also help fight inflammation which leads to weight gain and disease. 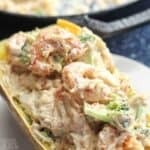 If you’re a beginner to the keto diet plan, before you start writing more items on your list, let’s review what keto foods have in common…. Below, you’ll see a long list of keto diet foods you can eat. First, though, let’s briefly talk about how the keto diet came about in the first place. Interestingly enough, its origins weren’t about weight loss. Instead, it was a nutritional protocol that was found to reduce seizures in people suffering from epilepsy and other neurological conditions. The medically-supervised ketogenic (“keto” for short) diet dates back to the 1920s at the world-renown Mayo Clinic, where doctors realized that children with low blood sugar had fewer seizures. Obviously, starvation isn’t healthy. But doctors realized that tricking the body into thinking it’s starving–by depriving it of glucose (sugar)–dramatically reduces seizures. How did this low carb diet reduce seizures? Researchers still aren’t exactly 100% sure. But the theory is that ketone bodies (ketones,) which are fatty acids burned by the body for fuel when not enough glucose is present, shuts off hyperactive electrical signals to the brain. People tend to lose weight quickly if they stick to a keto diet. If you want to get leaner, especially around the abdomen, and reap other potential benefits, avoid foods that are high in sugar and carbohydrates. How are Keto Diet Foods Different? Remember when you were in grade school and you learned about the food pyramid? The bottom tier of the pyramid (the ones you’re supposed to eat the most) was starchy carbohydrates, i.e. grains. Think: bread, pasta, cereal and rice. The inverse of the pyramid, the top level, was fats and oils. The servings recommendation for grains was about a dozen servings per day. In comparison, the guideline for fats and oils: use sparingly. 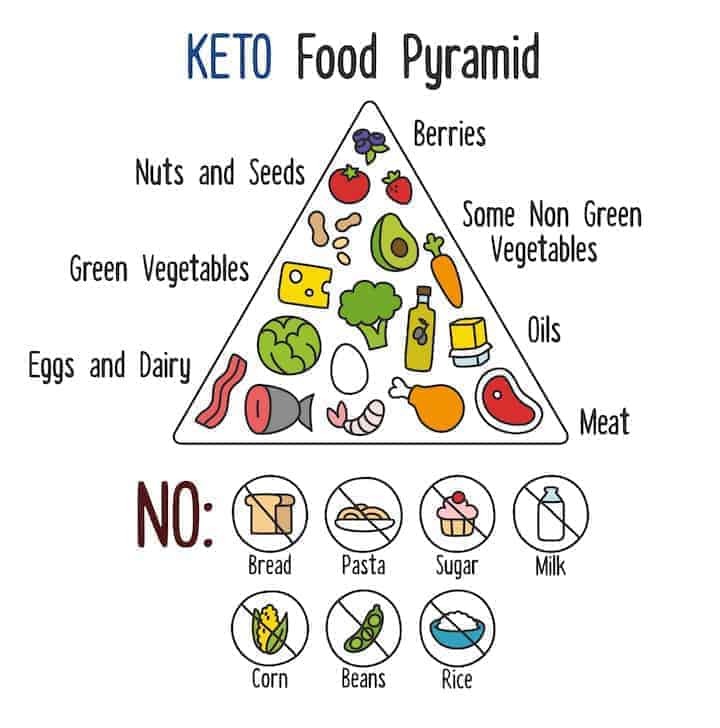 In a nutshell, keto foods are the inverse of the traditional food pyramid. 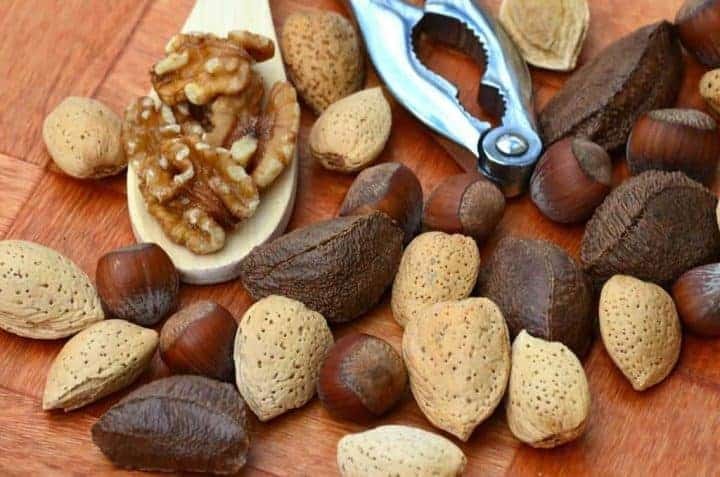 Natural fats will be your best fat-burning friend on the keto diet. Sadly, not much has changed with the United States Drug and Agriculture (USDA) food pyramid. Grains still make up a significant portion of the pyramid. And fats are still villainous. In fact, a modern take on the food pyramid (available at MyPyramid.Gov) does not even include fats/oils. It’s as if one of the three macronutrients does not exist! Guess which of the three macros does not raise your blood sugar levels? And guess which of the three macros does not cause insulin resistance, a condition which may result in type 2 diabetes? The answer: again, it’s dietary fat. That even today, the federal government’s dietary guidelines recommends a dozen serving of grains a day is shameful. No wonder obesity and diabetes rates continue to surge. You’re probably familiar with the saying, “A house is only as strong as its foundation.” Well, with the federal government’s food pyramid, the foundation is a recipe for metabolic diseases. Refined grains play a big role in the nation’s continuing “diabesity” epidemic. Hang in there … we’re almost at the point where you can start writing down some keto foods. First, though, you need to learn about macro ratios. This means the percentage of fats, protein and carbs at every meal. If you don’t know the proper ratio, you’ll have a hard time going into the state of ketosis. Ketosis is when your body is burning its own fat for energy. As a general rule of thumb, fat should account for about three-quarters of your total calorie intake. Is it hard to wrap your head around the fact that dietary fat helps you burn your own body fat? So long as it’s not processed fat (fried butter at the fair, for example), indeed, fat helps burn fat. Protein helps nourish your muscles, hair, nails and connective tissue. 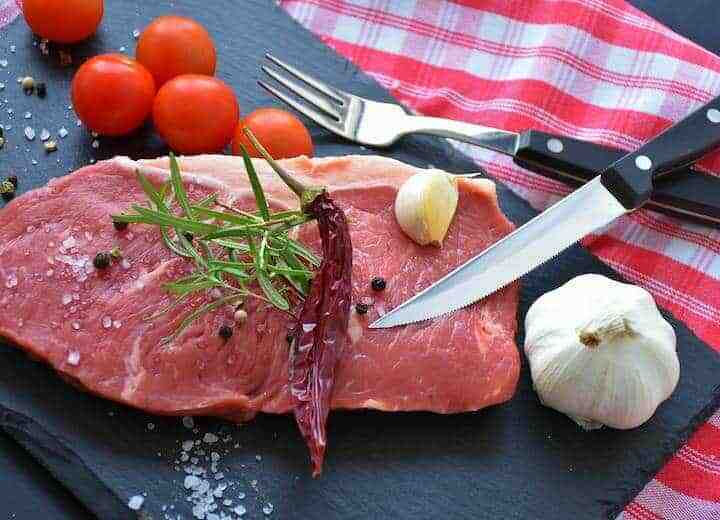 You don’t want to eat too much protein, especially animal protein, because of the cancer risk. Limit your protein intake to one-quarter of your plate. And then there’s the third macro, carbs. Consider carbs the enemy of keto diets. 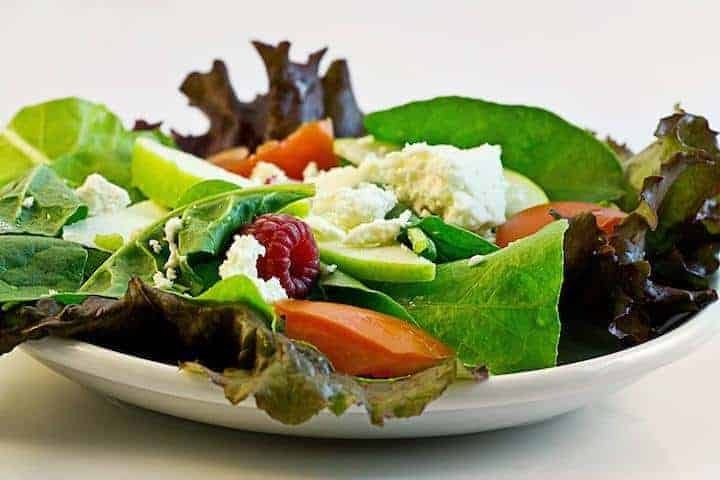 The exception are green leafy and cruciferous low-starch veggies and a little bit of low-glycemic, high-antioxidant fruits such as berries. Remember the Atkins diet craze? It actually still remains a popular diet. However, when it first came out, followers of the diet were delighted to be able to eat platefuls of bacon, eggs, cheese. And any other food that makes most cardiologists hurriedly scratch out a prescription for a cholesterol-lowering drug. 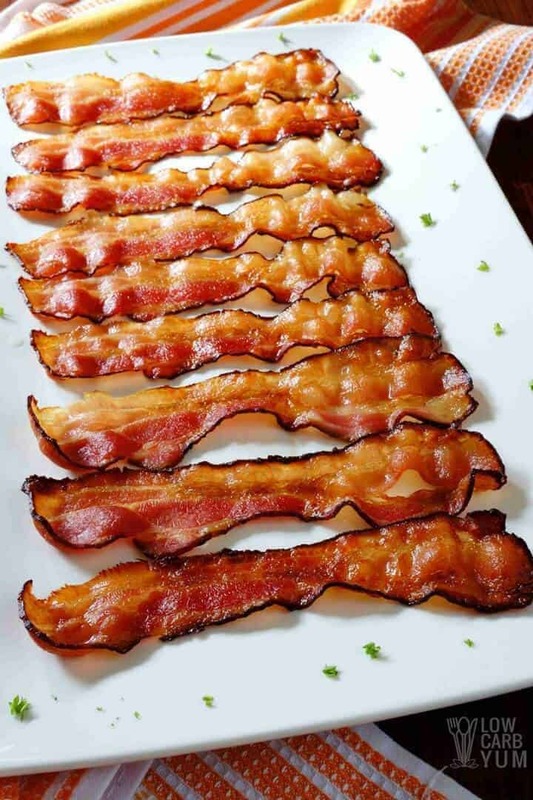 If you want to lose weight on the keto diet, you’re not going to be able to eat pounds of bacon. Not necessarily because it goes against the keto philosophy (if it’s naturally-raised bacon with no added nitrites or nitrates, no problem!). Rather, if you stick to keto foods, you won’t want to eat a lot. When you’re in ketosis, you’re able to digest fats and proteins better. Your appetite will also be mildly suppressed. This is due to a special hormone (CCK) that delays the empty-stomach feeling after a meal. With most other weight-loss diets, your CCK levels will actually decline. This might be one (of many) reasons most diets fail. However, after eating keto foods for a minimal time, your CCK levels will rise. You simply won’t need to eat as much. 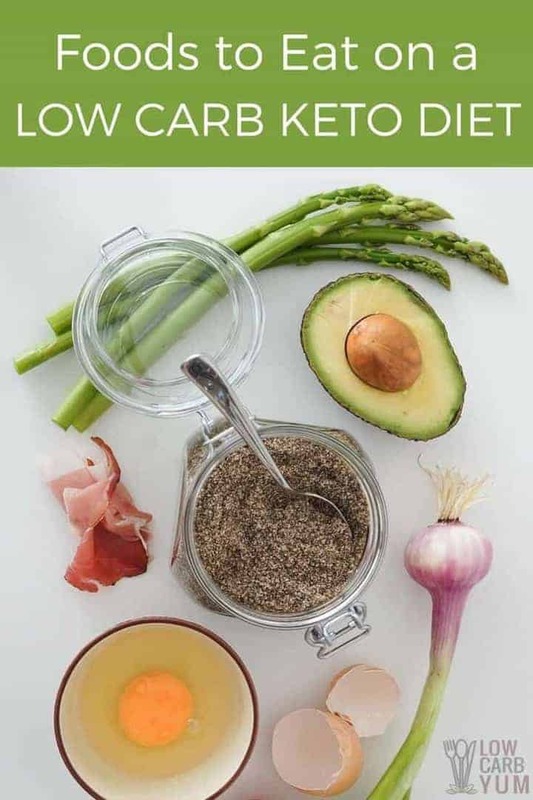 And these keto diet foods you will be eating will help you burn fat. If you’re new to the ketogenic eating plan, I recommend downloading my free eBook, “Low Carb Tips and Tricks.” It includes 20 easy recipes for keto beginners. Now, without further ado, finally, here’s some keto diet foods you can eat without worrying about your health. The first group of keto-friendly foods is meat. You’ve likely heard that eating meat is bad for you. In particular, red meat. Red meat consumption, some studies demonstrate (like this one), leads to a higher risk of colorectal cancer. However, what most of these studies fail to take into account is the quality of the meat. The advice to avoid processed meats is a little misguided. After all, that piece of grass-fed beef you’re about to sink your teeth into has been processed. Just keep in mind that beef, pork, chicken, turkey, lamb and fish is best if it’s organic. I realize that organic meat can be way more expensive. But, buying from places like Butcher Box helps keep costs lower. This isn’t a keto foods list on the cheap. However, remember that when you’re in ketosis, you actually won’t need to eat a whole steak to make you feel full. (Some people don’t consider fish meat, but I do). Avoid meat with condiments. Because, even if you’re enjoying a 4th of July barbecue with grass-fed burgers, a dollop of ketchup might be all it takes to kick you out of ketosis. (Depending on many factors, you may need to limit your total net carbs to 25-50 grams per day to stay in ketosis.) So, enhance your meats with natural spices and herbs instead. 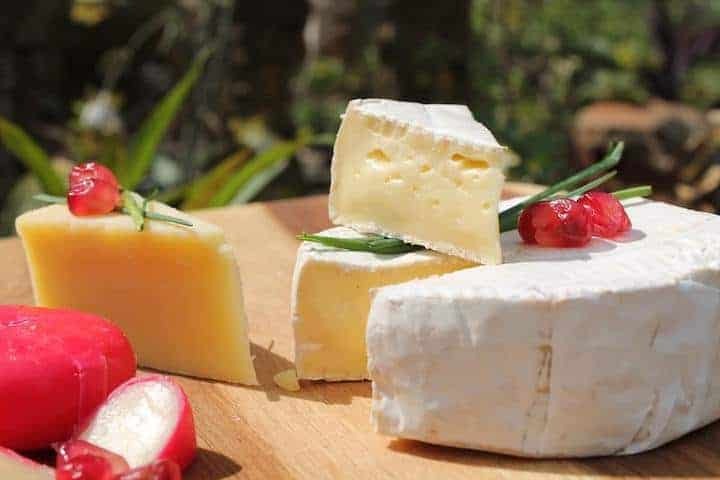 Certain dairy products like cheese, cream and butter are definitely some of the best keto foods. But there are exceptions. Cow milk can lead to inflammation which is why you may want to avoid dairy products all together. It’s relatively hard to find cow’s milk that comes from 100% grass-fed cattle. There are brands of so-called “Grass Milk” but even grass-fed dairy is inflammatory. Most of the inflammation is a result of the casein protein. In addition, milk itself is relatively high in sugar, so stay away from even whole fat milk on a keto diet. In fact, just one cup of milk contains over a dozen grams of carbs. And there’s no fiber to bring down the net carb count lower. I love milk but milk doesn’t love me back. It’s best for anyone dealing with autoimmune disorders like myself to avoid dairy to lessen inflammation in the body. Instead, I prefer making my own nut milks (especially almond). In addition, I use lots of Coconut Milk in my recipes. Including this one for Peanut Butter Chocolate Milkshake. Also, Coconut Cream is an excellent dairy alternative. And if you’re looking for a good alternative to butter, try butter flavored coconut oil. Eggs are one of the perfect keto foods. But try and only buy organic eggs. If you have access to a farmer’s market, you can buy eggs directly from the farmer. Farm fresh eggs don’t have to be organic. Getting an organic certification is too costly for some small farmers. But if the farmer tells you that the eggs come from pasture-raised, free-range chickens, go for it! 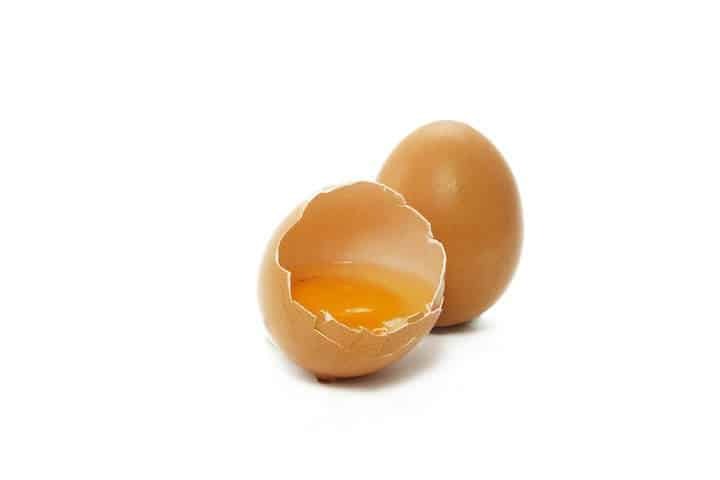 Eat a couple eggs a day to keep the bodyfat away. If you love cheese and yogurt, no need to give them up. Just make sure that the cheese comes from 100% grass-fed cows. And be certain that yogurt is full-fat and plain. There are two fruits that have lots of healthy fat. Most fruits lack fat. And many fruits are high in sugar. However, olives and avocados are two fruits that have virtually no carbs and lots of healthy fat. Yes, olives are fruits. And extra virgin olive oil (if you can get the first pressing of the olives, that’s the best!) is a healthy fruit juice! Avocados are sort of like the fish of the fruit world. They contain omega 3 fatty acids, as does salmon and other cold-water oily fish that are healthy for your heart and best keto foods. 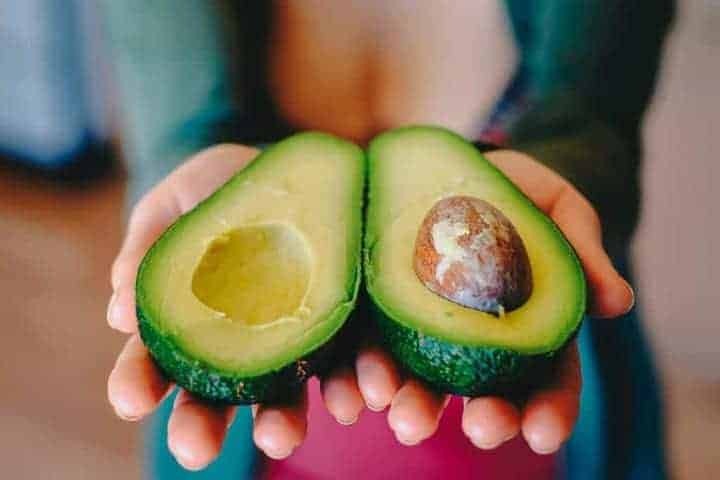 Other fats you can eat till your belly’s happy include Avocado Oil, Coconut Oil, Ghee, which is clarified butter or butter with the lactose removed, Lard (yes, lard is good for you, especially to cook with if is organic or not been hydrogenated) and Avocado Mayonnaise! How do you know which veggies are good for a keto diet? And which ones are too high in net carbs? The simple answer: if it’s green and leafy, eat a bunch of it. Spinach, kale, chard, parsley and any other green veggie that goes well in a green drink are high in antioxidants. You don’t want to avoid these super healthy veggies just for the sake of staying in ketosis. Bacon and eggs won’t provide you with the plant compounds that may help prevent disease. Also recommended on the keto foods list in the veggie department: cauliflower, cabbage, broccoli, zucchini, radish and more. Want a chart with low net carb veggies? 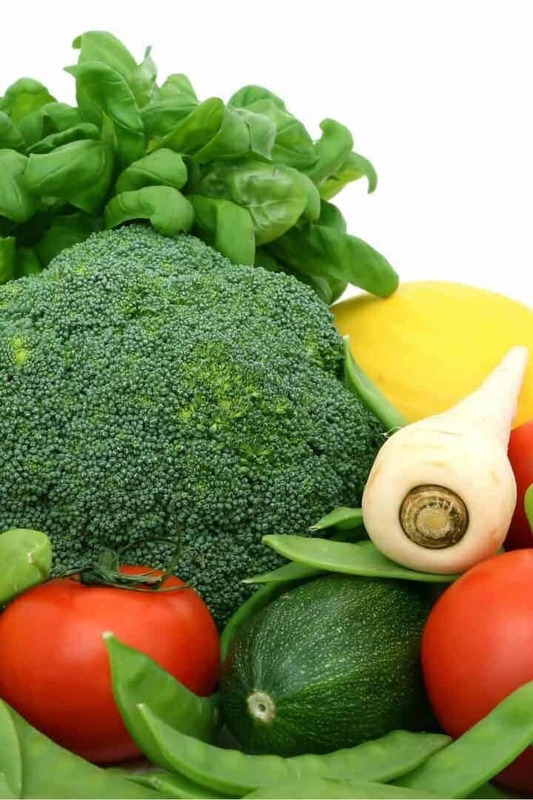 Take a look at this list of keto friendly vegetables. In the colder months, you might feel like eating higher starch carbs. You can still eat these. Just do so in moderation. Sweet potatoes, yams, peas, carrots, GMO-free corn, and other tubers contain lots of nutrition. But due to their relative high carb content, exercise prudent portion control. Sea vegetables are extremely nutrient-dense. But here in the U.S. few people eat sea vegetables such as seaweed, wakame, hijiki, dulse, kelp and others you might see in a sushi restaurant. One reason researchers believe certain Japanese populations live into their 100s is because of sea veggies. Sea veggies are keto friendly because they are low in net carbs. Avoid seed oils like plague. Most commercial seed oils (soybean, cottonseed) are highly inflammatory to your body. It’s hard to lose weight when you’re body is in a chronic state of inflammation. If you love to baked goods, you’ll need to keep some low carb sweeteners and flours in your pantry along with unsweetened chocolate and cocoa. I recommend the following in addition to coconut and almond flour. There’s natural fruit sugar called fructose in fruits so consume them in moderation. This is especially true of sweet berries like blueberries. I’ve been following a low carb eating plan for nearly two decades. The following are some other low carb staples that I have used in my recipes. Glucomannan Powder: a great substitute for white flour; comes from a wild yam-like plant. Shiratake Noodles: a terrific surrogate for noodles and pasta; contains almost 0 calories. 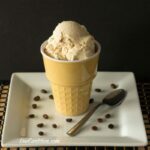 This is by no means a complete, comprehensive list of keto foods. 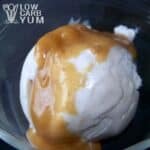 But this post will hopefully be a handy keto diet plan for beginners. Please leave a comment and let me know if you have any questions….